The head of the New York City Transit Authority and former chief executive at the Toronto Transit Commission says he is having "deja vu times two" with problems around trains from Bombardier Inc.
"It's gruelling. You have to stay on their case, you have to hold their hands, you have to cajole them," Byford said at a Metropolitan Transportation Authority committee meeting Tuesday. He cited "depressing" issues with the HVAC system software and past problems with springs between the cars and doors that were "weeping oil." 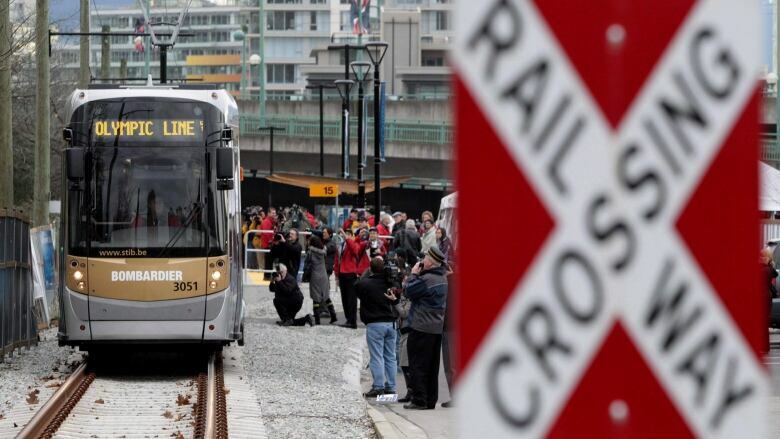 "I've been around this cycle now twice with Bombardier — twice in Toronto," he said, recalling the production delays and defects that plagued streetcar orders during his five years at the helm of Canada's largest municipal transit authority. "Eventually they get the build quality right and suddenly they start to come off the production line like a well-oiled machine," he said, adding that "you end up with a very good product." "We understand the frustration and we own the issue," spokesman Eric Prudhomme said in an email Thursday evening. "It's not unusual in the industry to have some issues, particularly in the early stages of passenger service." Prudhomme said he expects the technical problems with the R179 cars, which run on several lines in New York City, to be fixed "shortly," with 50 employees "working around the clock" at Bombardier's plant in Plattsburgh, N.Y.
"Short of actually building the damn things, we're doing everything else that we possibly can do," he said. Bombardier is also facing a Feb. 1 deadline for delivery of the first six of 76 vehicles for Toronto's Crosstown Eglinton light rail line, with one car already at a Metrolinx site in Toronto.